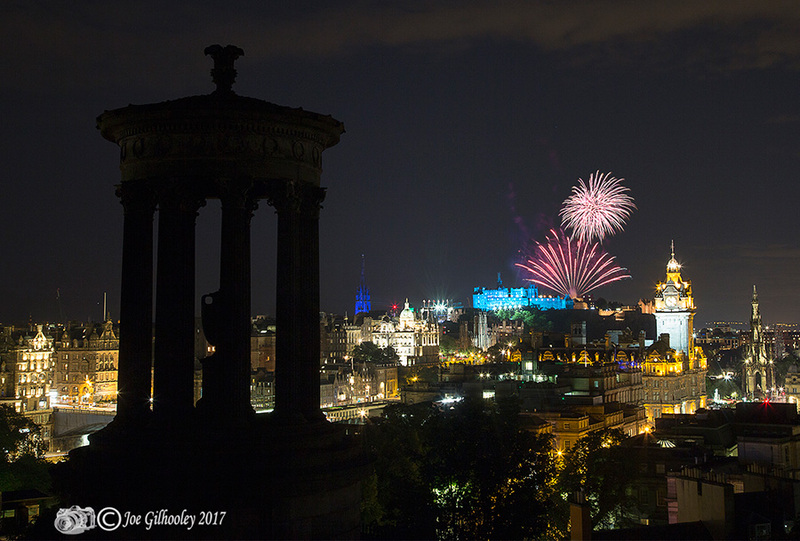 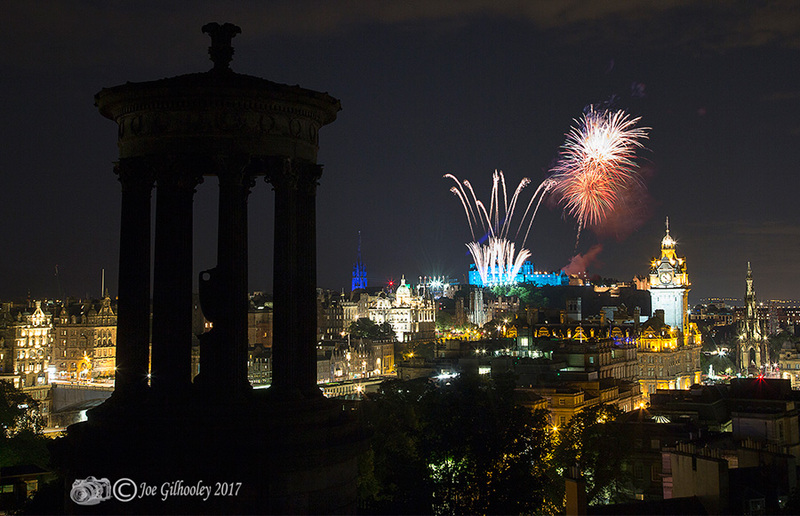 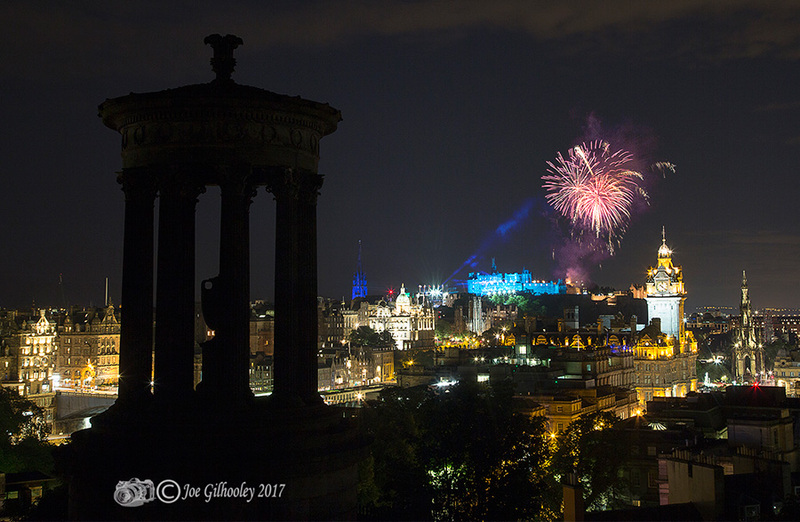 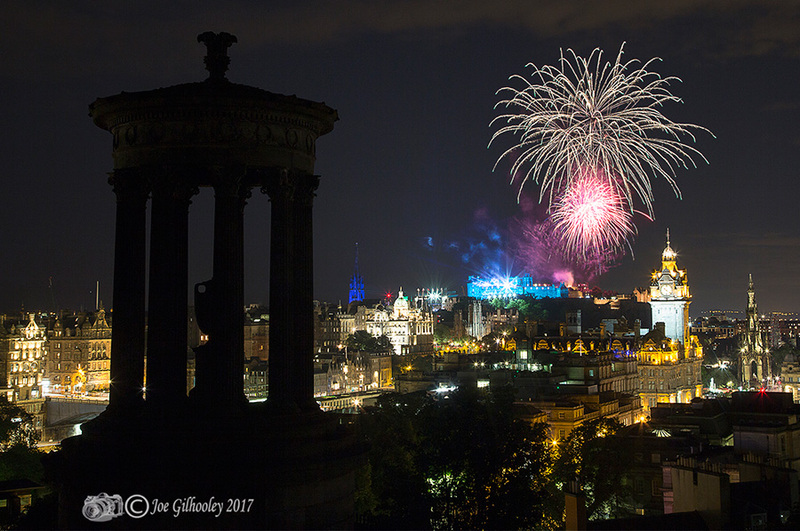 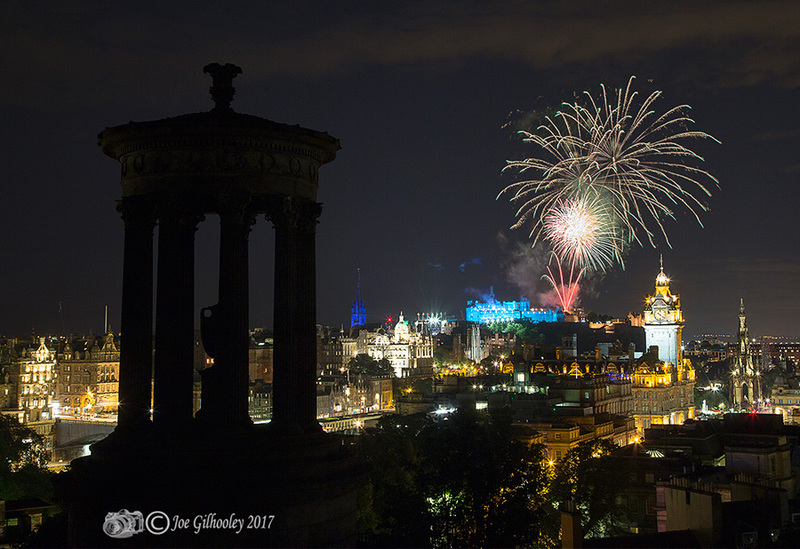 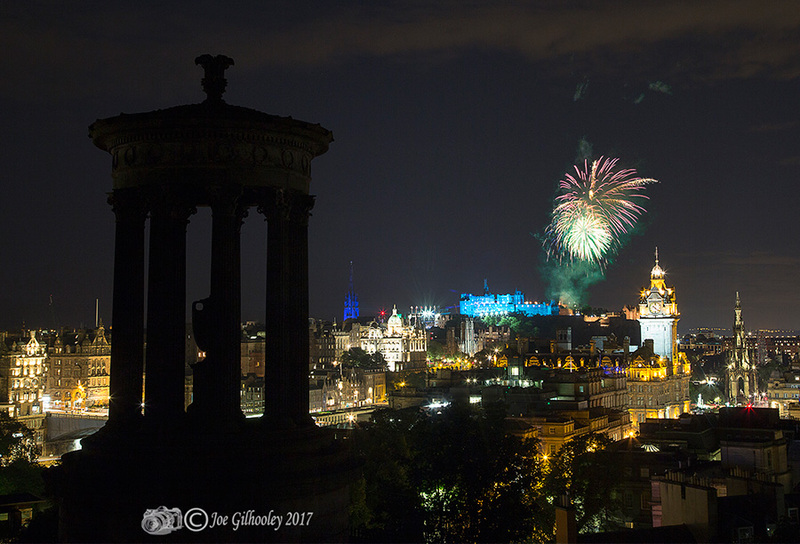 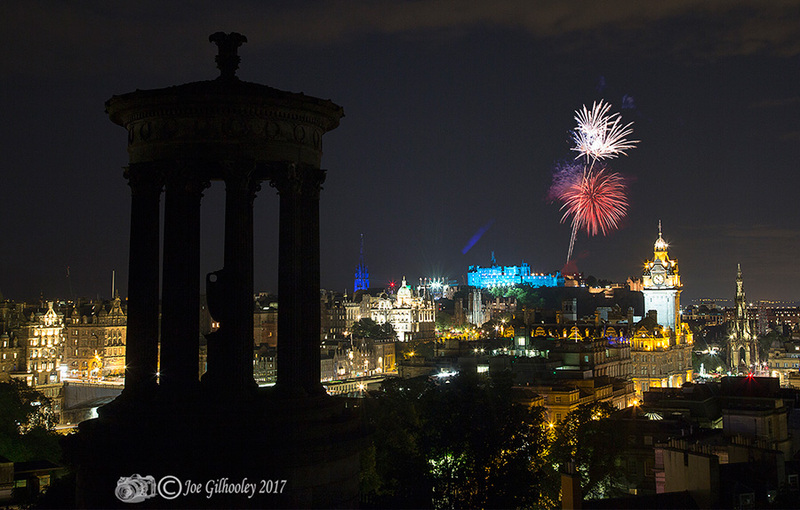 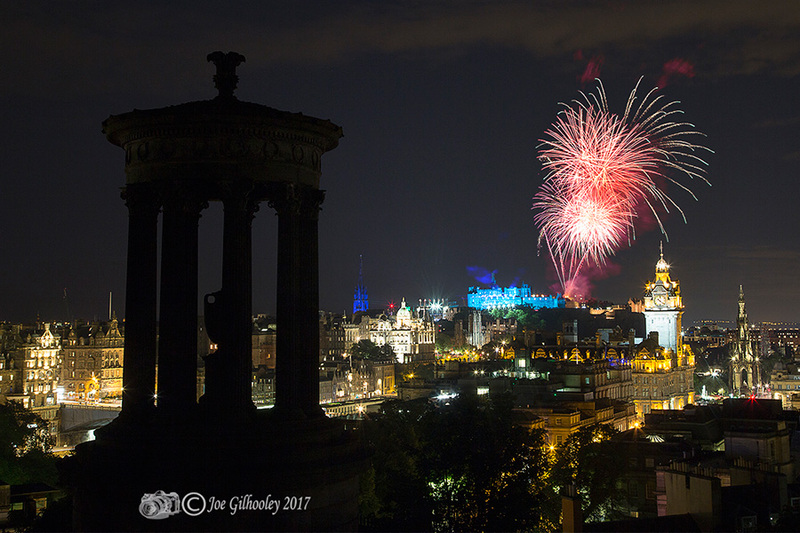 23rd August 2017 - Edinburgh Military Tattoo Fireworks. Another visit to photograph the Tattoo fireworks for 2017. This time I positioned myself on Calton Hill. 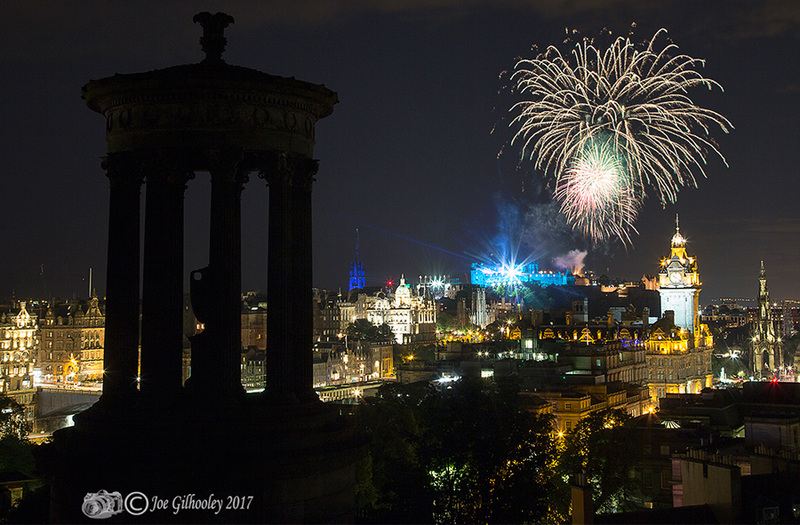 I used a wide lens as I wanted to include The Dugald Stewart Monument just in front of me on Calton Hill as a silhouette. 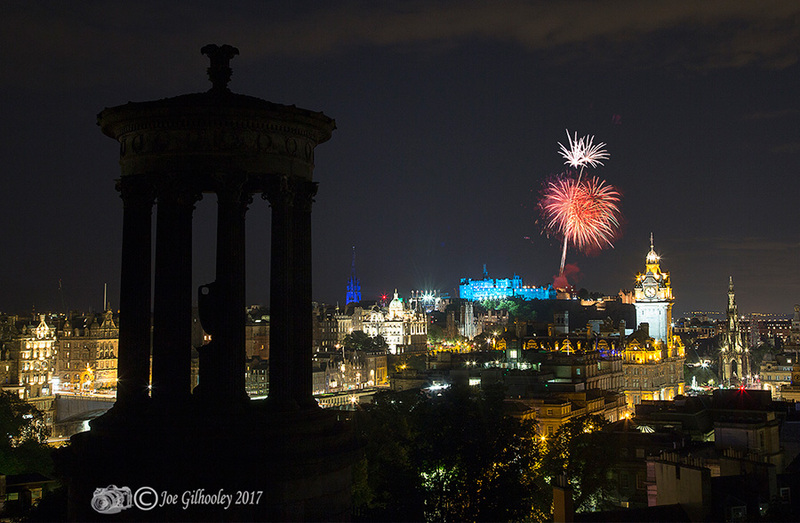 I also wanted more of the wonderful Edinburgh city centre in my images. 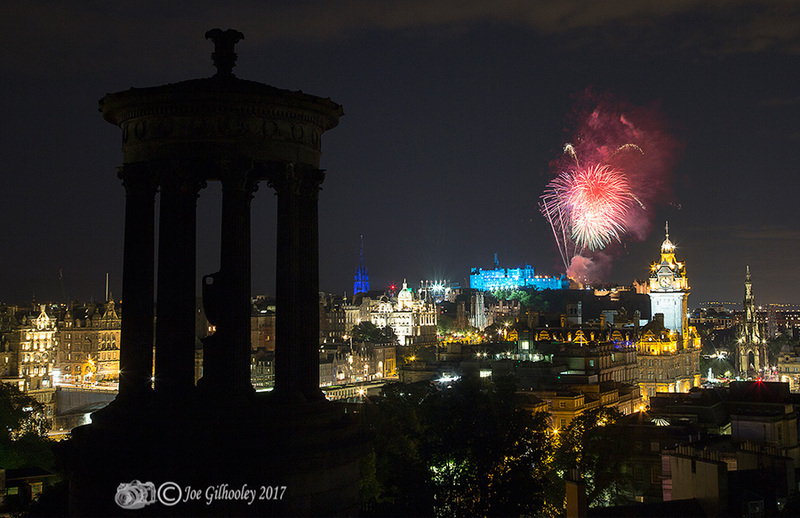 Here are a few I kept. 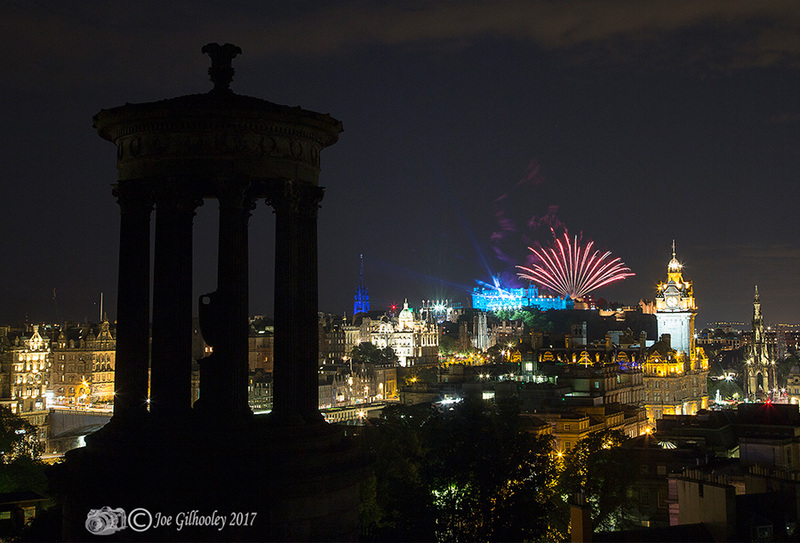 See also Edinburgh Skline as darkness approached.